Devil May Cry 5 is around the corner and while we wait we might as well get into some lore. We have seen a character in the trailer of Devil May Cry 5, that tears off Nero’s arm. I am convinced that this character is none other than Vergil. There are a couple of hints that point toward this. For one, we have the robes. If you have played DMC4 as Vergil then you might remember the same robes in the opening cinematic. If that is not enough then you can read on and find out more. If that does not convince you then there are other hints as well. If you look at the face of the character we can see blue cracks on his face. That is something that we have seen before, current Vergil. In DMC 3 we see Vergil enter into the demon realm and take on Mundus. 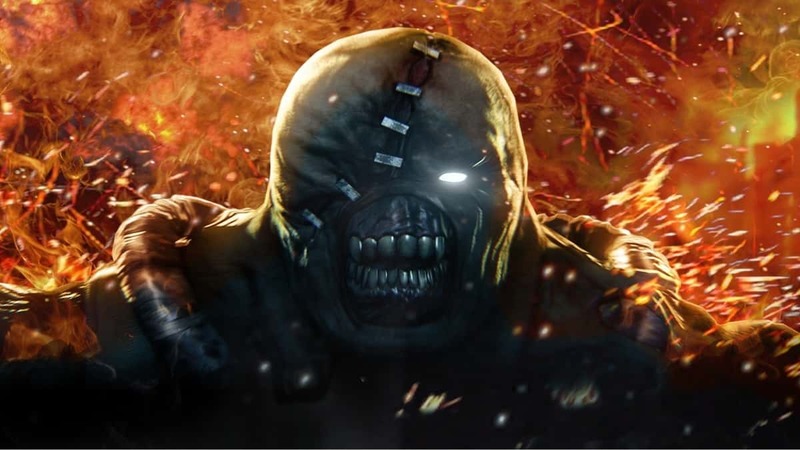 He fails and is enslaved by him and is forced to fight Dante in his corrupt form in other games. It is possible that this is the same guy. 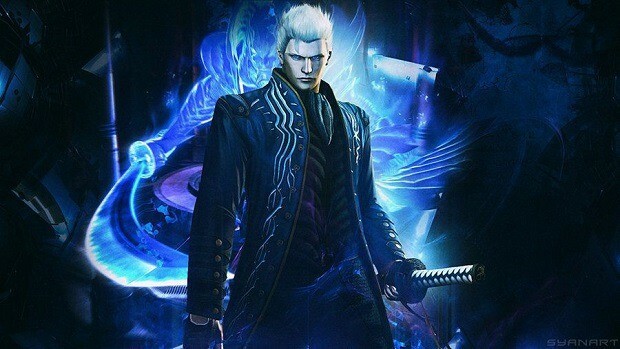 In some parts fo the trailer, if you play it really slow, you can see that under the robes the character is wearing a Blue coat and the design is same as what Vergil wears in the previous games. There are some changes here and there but the main design is the same. Some changes include the buttons on Vergil’s coat and the number of straps on his boots. If you are a fan of the series and have played the previous DMC game, not the one from Ninja Theory, I am talking about DMC4, then you will recall that in the end, Nero absorbs Yamato into his arm and later Dante asks him to keep the sword. It is pretty clear that Vergil needs the sword back in order to gain is true potential and restores himself to his previous state. In his corrupt form he does not have all his memories and in order to regain them, he will need his sword, which was originally his father’s but was entrusted to him. This is his signature weapon and he would not part with it lightly. If you already know that Nero is Vergil’s son then you might be wondering why a father would do this to his son. You would be right in thinking so, but then again, Vergil is not in his right mind. He does not recall things as they were. It is possible that when he regains his memories, he will feel bad about that is what we have seen in the trailer. Things get a little complicated here. In the previous games, we see corrupt Vergil fight Dante and lose. He then floats in the air, we see a bright light and he disappears. This does not mean that he is dead. There is a theory that a part of him goes to Nero and that is how Nero is able to talk to Vergil in his blackout when his devil trigger is activated for the first time when he is awoken. While that is a long shot, it is worth noting that in DMC4 if you play as Vergil, we can see that he is in Fortuna city, same as Dante and Nero. So it is possible that Vergil had his eyes on Nero all this time and had been waiting for the opportune moment to strike. We can see in the trailer that Nero is taken completely by surprise. It is highly likely that this is what Vergil wanted. In his state, taking on Nero head-on might not be the best course of action. Devil May Cry 5 could be the final game featuring Dante and Vergil. Itsuno has said that the loose ends will be joined in Devil May Cry 5 and that new character arcs will start after this one. It is possible that one of the Sons of Sparda’s will die. Both have been at each other’s throats for a long time now and the end might not be a happy one. Itsuno has already talked about how Devil May Cry 5 is going to be a very emotional game. We might see the character development and interaction between father and son, Vergil and Nero. That on its own will be pretty emotional. But I think that things will be taken to another level. What I would like to see is the boss battle between the sons of Sparda and Sparda himself. That will be something epic and emotional at the same time, provided that one of the brothers dies in the end. The final battle will be epic. But who will stand victorious in the end? We have seen Dante come out the winner in the end, always. That might be the case here as well. But if Itsuno is going for emotions then killing off Dante would be the best way to make the fans cry and if that is the case then “Dante must die” might be a hint that this is going to happen in the end. Dante’s death would be a major upset and fans would not have seen that coming. Vergil was able to defeat Dante in DMC3 when they fight for the first time. We could see something similar this time as well. But this is a long shot and you should take this with a grain of salt as this is what I think as a fan of Devil May Cry and this has not been confirmed by Capcom. It should be interesting to see what happens in Devil May Cry 5 is around the corner and while we wait we might as well get into some lore. and if you can’t wait to play Devil May Cry 5 then you should check out the playable demo at Gamescom 2018. 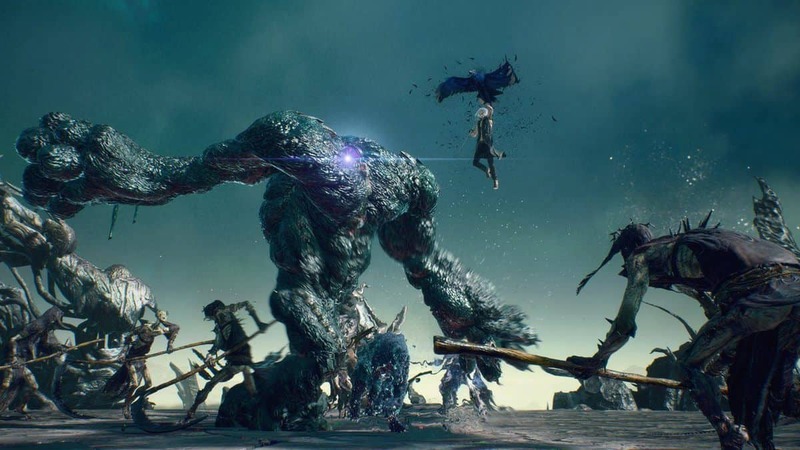 For more news regarding Devil May Cry 5 stay tuned to SegmentNext. Let us know what you think about the upcoming Devil May Cry 5 and what you would like to see in the game.